What does God want to give me? Am I open to receiving it? in the presence of all peoples. With this little Lukan psalm, we approach one of the many paradoxes of the season: the more we push our ego agenda of needs, wants, should-s, and have to-s on ourselves and others, the less peace we experience. The promise of blessing in our going out and coming in (Psalm 121) becomes painfully unattainable when all we allow ourselves to hear is the cacophony within and around us. How many times must I be asked the progressively annoying question, "Are you ready for Christmas yet?" James has it right: "You don't have because you don't ask. You ask and don't have because you ask with evil intentions, to waste it on your own cravings." 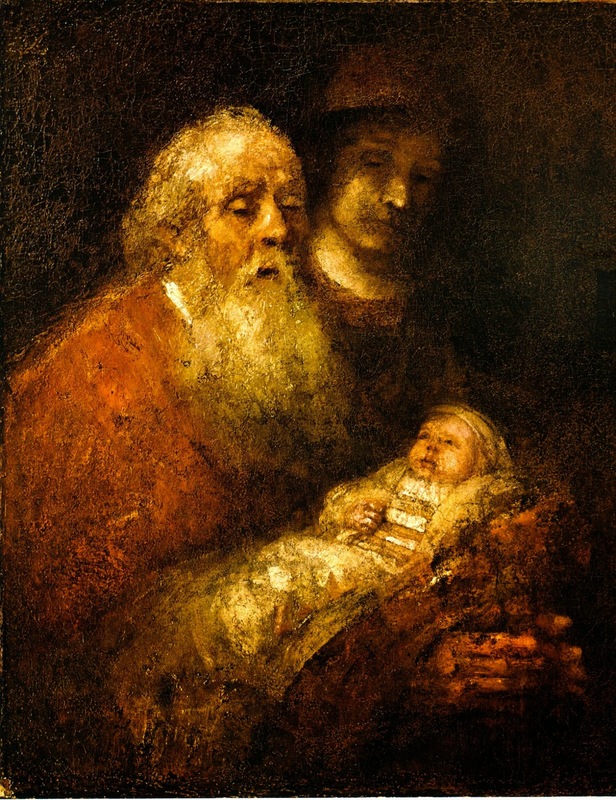 The promise for Simeon and for us is enduring peace, peace born of the Holy Spirit, as we surrender our false expectations for having life on our terms. We are not necessarily good at waiting for what we want and even less patient when it comes to what God wants. The wonder of Advent is not our patience, but God's. Holy Spirit is now, of this moment. God's advent is already here--the prime question is, where am I? As far as I can see, righteous Simeon remains the only man who was truly ready to welcome the Redeemer, the Christ, the Messiah. He didn't need one more thing. His spirit was full- out of surrender, empty and open to receiving the gift of God, the Christ. So much so that he could both "lie down and sleep in peace." Now, let your servant depart in peace. Could it be that using Simeon's prayer each evening as a simple Compline, or completion of my day, will help me unload, empty, and wash away whatever is most false within? Funniest Song of Past Year- "Please Mr. Kennedy"